This is a story of how a relatively small, Swedish pharmaceutical company dedicated to rare diseases is taking a fresh and innovative approach to one of its key therapy areas, without having the scale and resources of its key rivals. Haemophilia is a rare genetic condition that impairs the body's ability to make blood clots, a process needed to stop bleeding. This results in people bleeding longer after an injury, bruising easily and – most importantly – an increased risk of spontaneously bleeding inside joints or organs. It’s a lifelong illness, which people with the condition have to manage on a daily basis. Untreated, it can be fatal. However, effectiveness of treatment has improved markedly over the past few decades, to the point where, today, with proper management, it is possible for people with haemophilia to lead full and active lives. Nevertheless, despite the availability of treatments, a significant proportion of people with haemophilia do still experience long term, life-limiting consequences of their condition, such as irreversible joint damage and reduced activity levels. 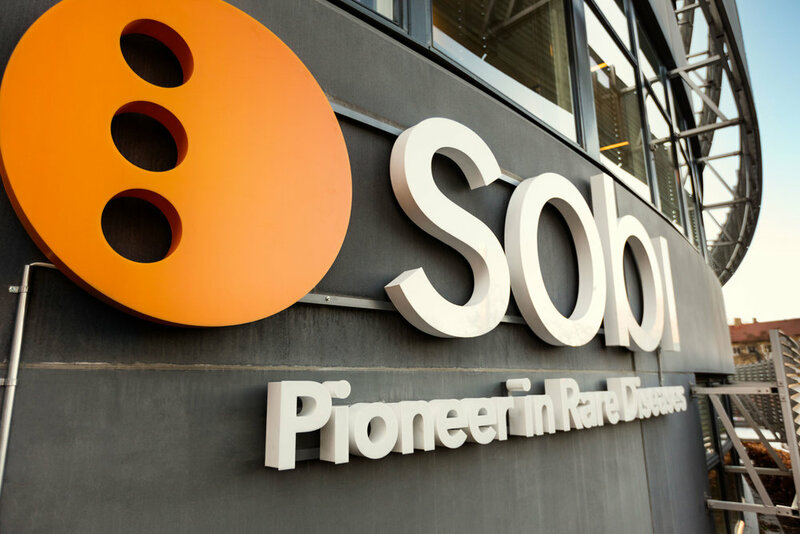 Sobi (Swedish Orphan Biovitrum AB (publ)) is at the forefront of developing pioneering treatments in haemophilia. In pharma terms it’s a small player, with 760 employees, but is growing rapidly in impact, with net revenue increasing by 39% in the years 2015-2016. I spoke to three of the Sobi haemophilia senior team to get the inside story of how it has managed to grow and thrive in such a complex, highly regulated and competitive industry and to get an insight into what we can all learn from its success. Stepping back, it’s worth reflecting on the fact that the scale and growth of the global pharmaceutical industry is mind-boggling. In 2001 the industry was worth $390 billion but today is now worth over $1 trillion, as emerging nations and a growing, ageing population demand more advanced healthcare treatment. The stakes and the potential rewards are high. Experimental drugs can take many years to bring to market with only a tiny percentage eventually being approved for use. Little wonder that the industry is dominated by huge corporations with the significant funds and the complex infrastructure needed to support such ventures. Sobi has always been clear on its vision: to deliver innovative therapies and services to create a world where rare disease patients can live full and healthy lives. However, Sobi’s constraint is around resource. It has to compete and win, without the established size and funding of competing giant pharma companies. We Can If… we access other people to…..
Sobi has a long history of collaboration with partners in all phases of the product lifecycle from early research and development through to commercialisation. This has enabled Sobi to access the resources and expertise required to progress. For example, Sobi collaborates with Bioverativ, a US-based biotechnology company, which has allowed it to achieve global scale, with each company focusing on different geographical regions. However, effective collaboration and building trust is also prevalent within the business as well with the outside world. Sobi has its HQ in Stockholm, but what became clear from our discussion was that the culture feels very global and international. There is a strong emphasis on cross-functional collaboration and open dialogue between different areas of the business with, for example, people in medical and commercial teams all working towards common goals. A lot of companies talk about being patient-centric, but Sobi really walks the talk. It continues to work closely with people with haemophilia, their families and carers and healthcare professionals to really understand what their issues are and how to help them. Indeed, they described bringing insight back into the organisation as one of their key roles. We Can If ...we think of ourselves as…. A Super Yacht not a Super Tanker. The advantage of being relatively small is the ability to make decisions quickly and to implement at speed. This has allowed Sobi to build a business rapidly and to make positive decisions that it feels are in the long term interests of the haemophilia community. An example of rapid decision-making is around its humanitarian efforts. Although treatment can enable people to live active and fulfilling lives, one of the challenges facing the industry is the lack of access to treatment, particularly for those in developing countries. To address this issue, Sobi and Bioverativ made a commitment to donate one billion units of clotting factor for humanitarian aid in developing countries over the next ten years, starting from 2015, thus enabling reliable supplies of treatment to people, irrespective of their ability to pay. Acquiring good insight is important, but it’s equally important to act upon it. What Sobi discovered was that young people with haemophilia often find it difficult to come to terms with their condition. With the support of the Great Ormond Street Hospital in London, Sobi developed a new and free iPad app called Magic Movie Maker that lets children create their own movies about themselves, so they can capture and share their experiences with those closest to them and gain confidence. Ongoing conversations with haemophilia nurses and carers helped Sobi to discover that packaging is sometimes bulky and that syringes can be difficult to manage, particularly for children and for adults with impaired joint mobility. As a result, Sobi developed a user-friendly kit, without excess packaging, making it as small as possible, and light to handle, all of which makes adherence to treatment less of a burden. The constraints faced by Sobi have encouraged it to think and act more creatively. Simply mimicking traditional ways of working simply would not have worked for them, particularly when competing with larger organisations with deeper pockets. Turning their constraints of resource to their advantage has enabled Sobi to become more resourceful in the way they set up partnerships, more open-minded in the way they work together and more responsive to the needs of the whole haemophilia community – the patients, carers, the healthcare systems and the healthcare professionals.